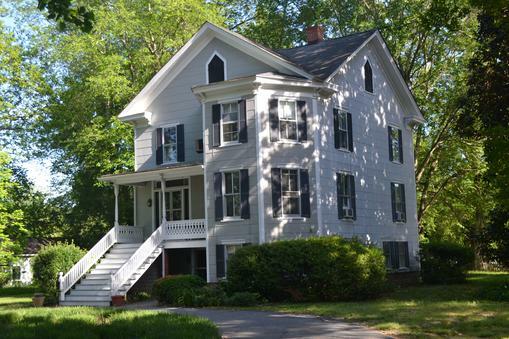 Nestled in the heart of Kilmarnock, VA, this beautiful 4 bedroom 2 1/2 bath Victorian style home has been completely restored. Relax on your front porch and cookout on your tree shaded patio. Entertain friends in your sunroom, or work on you garden in the front field. The English basement has a large remodeled kitchen with a breakfast table across the hall from a large dining room. Just up the hall is a large living room. The main upstairs level has a large entry hall that leads back to the enclosed sunroom. Two rooms can be used as bedrooms or offices on the main level. Another staircase leads to the upper level with two large bedrooms with a shared full bath. This home is as large as some bed and breakfasts, and will provide a lovely home for a growing family. Situated on a 1.7+ acre lot with a storage shed and large front field for gardening. A short walk to downtown restaurants and shops. Close to creeks and rivers that lead to the Chesapeake Bay. Use the Mapquest application below to get directions to this home. Or, put in your work address to estimate commute time.